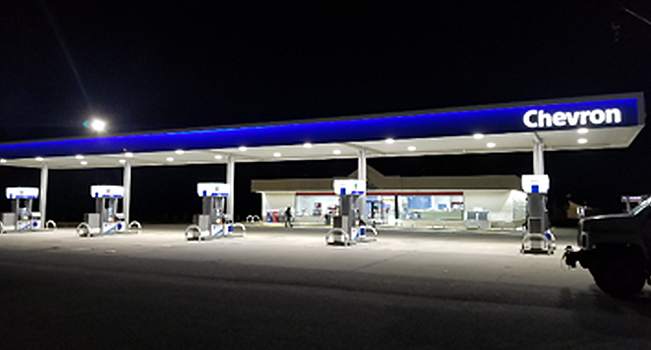 Colonial Oil Industries, Inc. (COI) offers Convenience Store Owners a trusting, honest partnership that will help you sleep at night. We build relationships with our customers based on mutual trust, honesty, and transparency. We offer flexible programs to our customers, whether you want to own your inventory or only pay for what you sell, you choose how you would like to do business with Colonial. We offer branded, unbranded, and independent options with secure supply. At COI we believe our employees are our strength. COI is a family run business built by a great family and their employees. We care about each other, our company and most importantly, YOU, our customer. We have been strategically partnered with Chevron/Texaco and BP for over 25 years. We have a Sales Support staff that understands all the branded programs. Our Team will help you understand and implement these programs to drive more sales to your store. Unbranded gasoline supply from COI is low cost and reliable. We are partnered with unbranded rack suppliers in addition to our own proprietary supply base in over 30 terminal markets. We offer low cost credit card processing for our unbranded customers. Do you have a vision of what your independent brand might look like? Through our partnerships and experience we can bring that vision to reality. Customer Focused- We care about what keeps you up at night. Our branded and unbranded programs are customizable to fit your business needs. Experienced- Colonial has been in the petroleum business since 1921. The knowledge we’ve acquired over our long history is at your disposal. Easy to do business- Our employees go to great length to serve our customers with “best in class” service, with a staff that is responsive, accessible, and dependable. Leveraging Our Network- Through our affiliate companies and vendors, we ensure we get the best price on fuel, equipment, credit card processing, maintenance, and store supplies giving you cost saving solutions. Flexible- We make ordering fuel easy. Colonial can manage your inventory, or you’re more than welcome to call or email your orders. Our consignment program improves your cash flow and provides stable profitability as you only pay for what you sell, taking the daily price swings out of the equation.